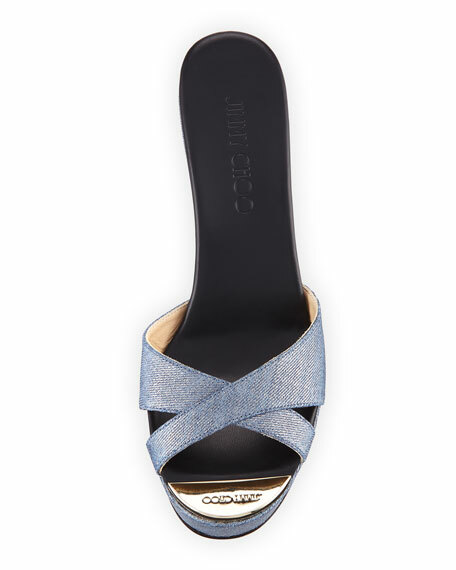 Jimmy Choo "Perfume" denim sandal. 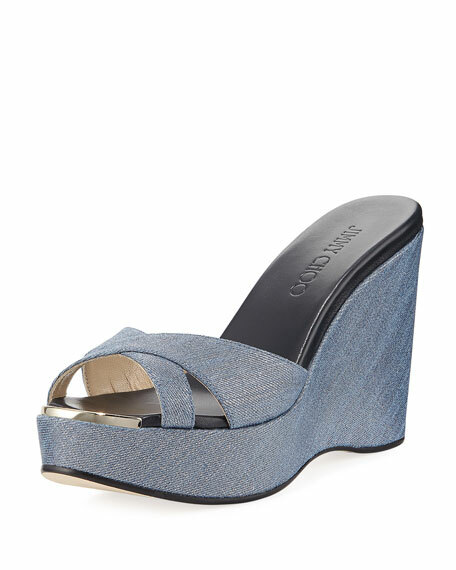 Covered wedge heel with front platform. 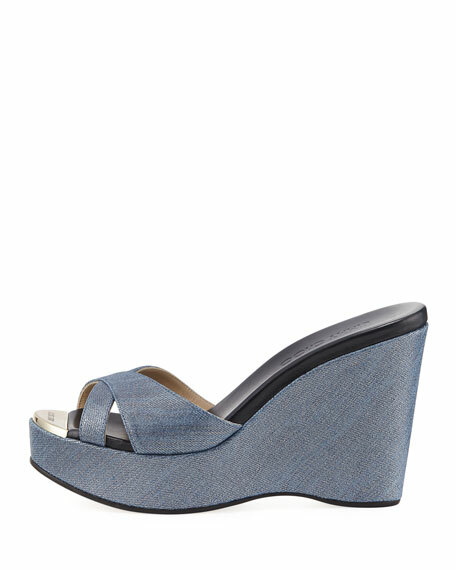 For in-store inquiries, use sku #2437425.